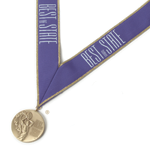 Winners in each Best of State® category are awarded the prestigious Best of State Medal. The Medallion is two-inches in diameter, minted bronze, gold-plated and engraved. 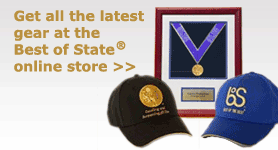 The medal is suspended from an imprinted, double-woven, golden-trimmed Best of State ribbon. Best of State Medal winners receive the right to display and use the Best of State medallion image on business correspondence, their website, and other promotional materials, without indicating the year for which the Medal was awarded, for the twelve months following receipt of the award. 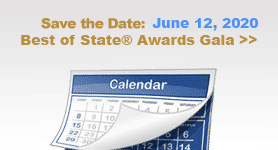 For subsequent years, the Best of State medallion image may still be used, but the year of the award should be indicated. 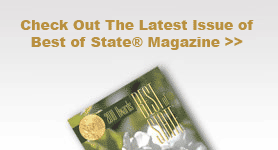 Best of State medallion logo images are available from DOWNLOADS on the menu bar. The Best of State Medal winners in each of the ten Best of State Awards Program divisions are evaluated to determine which Medal winner is the most outstanding in their division. The Best of State Statue, the BOSS® is awarded to the most outstanding Medal winner in each division. 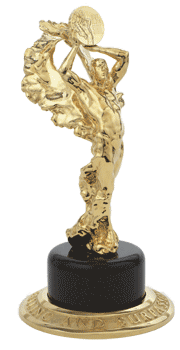 The BOSS (Best of State Statue)® is a 20-pound, solid bronze, 24-karat gold-plated, sculpture standing atop a black granite pedestal on a gold-plated bronze base. 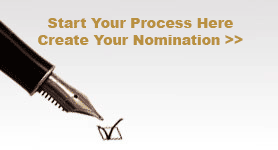 Only Best of State Statue winners may use the Best of State Statue image, and may do so in perpetuity.